Tracing postmodernism from its roots in Jean-Jacques Rousseau and Immanuel Kant to their development in thinkers such as Michel Foucault and Richard Rorty, philosopher Stephen Hicks provides a provocative account of why postmodernism has been the most vigorous intellectual movement of the late 20th and early 21st centuries. Why do skeptical and relativistic arguments have such power in the contemporary intellectual world? Why do they have that power in the humanities but not in the sciences? Why has a significant portion of the political Left—the same Left that traditionally promoted reason, science, equality for all, and optimism—now switched to themes of anti-reason, anti-science, double standards, and cynicism? Explaining Postmodernism is intellectual history with a polemical twist, providing fresh insights into the debates underlying the furor over political correctness, multiculturalism, and the future of liberal democracy. Stephen Hicks is the professor of philosophy at Rockford University, where he is also Executive Director of the Center for Ethics and Entrepreneurship. 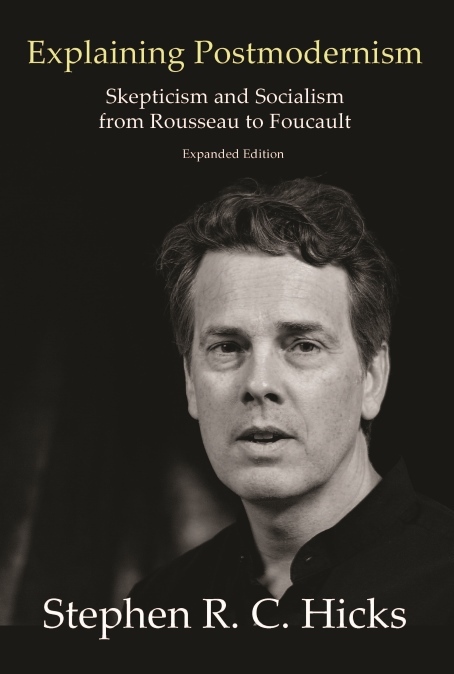 He is the author of Nietzsche and the Nazis, Explaining Postmodernism: Skepticism and Socialism from Rousseau to Foucault and co-editor of The Art of Reasoning: Readings for Logical Analysis. Hicks earned a Ph.D. from Indiana University in 1991 and his B.A. (Honours) from the University of Guelph, Canada in 1981.